It combines learning, implementation support, mentoring and Mastermind Principles to work on building a robust business and improving profits. * Sadly, experience has taught us that people don't value free. Therefore, we have decided to charge a small deposit of £47 for your first meeting. The money will be fully refunded within 5 days provided you turn up to the meeting. This way, yours and my time is not wasted. Of course, if you decide to join the programme the money can be put towards your next meeting. Over the last twelve years, I’ve helped hundreds of business owners increase profits, reduce working hours and deliver a better service. 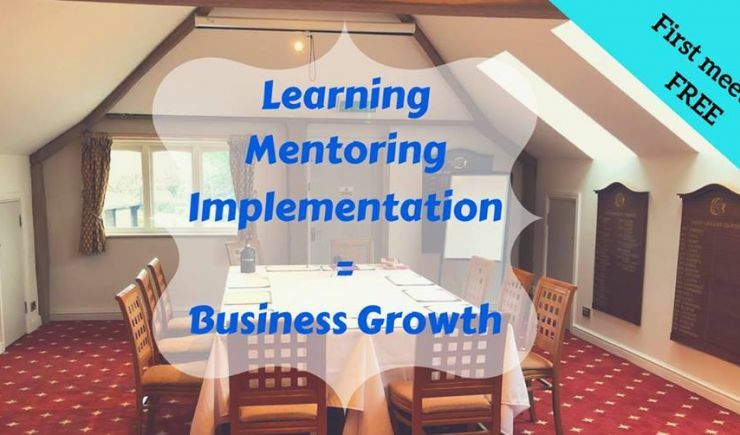 This teaching, accountability and support programme will help you learn and implement what you need to have a business that can fund your lifestyle. This programme is for you if you’re feeling stuck and want to do something about it. It’s for you if you want to share ideas and be part of a community that will help you achieve your goals. It’s for you if you’re frustrated at a lack of progress and perhaps, feeling resentful of a business that should be delivering more. You’ll be the sort of person that wants a business that doesn’t need you all the time; that continues to grow when you’re on holiday and you feel safe leaving. Each month we’ll combine a mixture of group learning and work together to understand how each topic can be applied in your business. There will be an opportunity to get help from the group on any challenges or opportunities you may be currently facing. These will be done using ‘hotseat’ sessions. Helping business owners build businesses with more revenue, profit and more time.